Hybrid Software are pleased to announce that they have licensed the IC3D Suite of 3D packaging simulation and design applications from Creative Edge Software to bring 3D into the packaging production lifecycle. The IC3D Suite recently won the prestigious InterTech Technology Award from Printing Industries of America for innovative excellence in the graphic arts industries, while PACKZ 2.0 was awarded a MUST SEE ‘EM award, which will also be presented at Graph Expo in Chicago. Visit Hybrid Software in booth # 4620 at Graph Expo, September 28 – October 1, 2014, McCormick Place in Chicago, Illinois. TAPPI is pleased to announce NewPage is a Centennial Celebration Platinum sponsor. In addition to supporting the celebration, NewPage’s contribution helps promote the future of global pulp, paper, packaging and related industries through student and young professional initiatives. The celebration will feature a year-long series of outreach events and educational offerings showcasing the history of the industry as well as highlighting forthcoming advancements in technology. 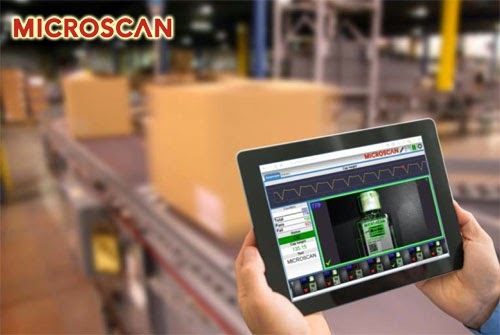 Microscan, a global technology leader in barcode, machine vision, and lighting solutions, announces the latest innovation as part of its award-winning AutoVISION machine vision suite, CloudLink web HMI. A machine vision visualization tool for AutoVISION, CloudLink enables users to monitor live machine vision inspections performed by AutoVISION software and smart cameras in an interface that is accessible via web browser on any web-enabled device (such as PCs, HMIs, tablets, and smart phones). Machine vision inspection jobs in AutoVISION are uniquely portable across hardware, software, industrial systems, and mobile platforms and devices. The CloudLink web-based HMI greatly expands AutoVISION’s cross-platform flexibility, giving users the freedom to view inspection operations from anywhere at any time. Based on a machine vision inspection job created in AutoVISION Machine Vision Software, CloudLink can display values from the inspection job that have been linked to a shared data service over industrial protocols by AutoVISION’s one-click connectivity tool, Microscan Link. These values include images taken by the machine vision camera and the results of tools applied to the image by the software, such as Measure, Count, Decode, Verify, and more. As values are received, (such as the pass/fail results of a Count tool that counts shapes on a part), they can be displayed in CloudLink in image, text, or graphical format depending on how the user has tailored their CloudLink view. The fully-customizable CloudLink Dashboard provides users with default widgets for the easiest way to create a tailored window of inspection results within a single view in a browser. Widgets can be added to the Dashboard to display values in different formats, from images to data to charts & graphs. Historical data and images are logged by Filmstrip, Chart, and Log widgets so users can review past inspection results, such as the reason for a failure. Alternatively, CloudLink API (Application Programming Interface) allows the CloudLink technology to be added to any custom software for visualizing inspection results on the user’s preferred platform. Since it is web-based, CloudLink does not require any software to be installed on the device that is used to monitor inspection operations. From PCs to tablets to smart phones and more, users can access CloudLink via web browser to remotely monitor inspection jobs as they are performed by any machine vision camera on the factory floor. Using the URL of an AutoVISION smart camera or PC-based Gigabit Ethernet camera, the CloudLink interface can viewed in a browser to monitor inspection results clearly and immediately as inspections occur. The AutoVISION product family continues to be the industry’s most flexible machine vision solution, allowing users to build a complete inspection system from a range of tools. Portable and scalable across cameras, software, industrial systems, and now mobile devices using CloudLink, AutoVISION provides a single, adaptable vision system to simplify every inspection challenge. For more information about CloudLink, visit www.microscan.com/Products/NewProducts/cloudlink.aspx. At Graph Expo 14 (Chicago, September 28-October 1), Highcon will be continuing its collaboration with Xeikon to present the results of a completely digital workflow, from prepress through printing to digital finishing, on the Highcon Euclid. Following a successful first time appearance at the Xeikon Café in May of this year, Highcon will be digitally cutting and creasing folding carton packages printed on the Xeikon 3500 digital press. Visitors to the show will be able to see the printing of folding carton boxes on the Xeikon booth (#841). These printed samples will then be finished on the Highcon booth (#1262) by the Highcon Euclid. Rotocontrol, a manufacturer of leading-edge slitter/rewinder inspection machines, today announced their participation in the AVT stand at the recently held Labelexpo Americas. Showcased at the show with live printed label material demonstrations was the Rotocontrol RSP-V series pharmaceutical finishing machine equipped with the AVT Helios II automatic inspection station. The Rotocontrol RSP-V (vertical) series machine is designed for compliance with the most demanding security label inspection and finishing applications. It incorporates a fully integrated 100% vision inspection system, such as the AVT Helios II, which stops the machine when a fault is detected prior to slitting or other post-inspection operations. Once the fault is corrected, the web is rewound back to where the fault was detected onto a high capacity rewind for re-inspection prior to slitting for 100% compliance requirements. AVT's Helios is a superior line of automatic 100% print inspection solutions designed exclusively for labels and narrow web printing. Helios II can be seamlessly integrated into rewinder/finishing equipment to create a designated automatic inspection station for post print processes. A highly-reliable, market-proven solution, Helios II has been successfully installed worldwide on hundreds of presses and rewinders. Quickly and easily integrating on any press or rewinder for online quality assurance and process control, Helios II supports AVT's large and far-reaching global install base. Marco Aengenvoort, Managing Director of Rotocontrol comments: "It was an honour to participate at Labelexpo Americas once again in the AVT stand, and to demonstrate our RSP-V pharmaceutical finishing technology with the AVT Helios II automatic 100% print inspection solution. Our long-standing partnership with AVT, which dates back to the inception of Rotocontrol, has been instrumental in providing finishing equipment with complementary and innovative technologies that benefit narrow web printers and converters." 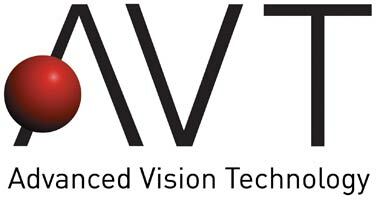 AVT (Advanced Vision Technology Ltd) is the world leader in print process control, quality assurance and color control for the packaging, labels, folding cartons, metal decoration and commercial print markets. AVT's products are sold to leading printing press suppliers, packaging, labels, commercial, semi-commercial, metal decoration and specialty printers in the web printing markets. More than 3,000 of AVT's signature systems for automatic inspection of packaging and labels converting are installed worldwide. In addition, more than 900 of AVT's Clarios closed loop color control systems are installed around the globe, showcasing the company's commercial sector prominence. AVT's global presence also includes 3,300 installations of Mercury color management and reporting software, and remote digital ink control systems. Rotocontrol designs and manufactures leading-edge finishing machines, including the LeoMat brand, for inspection, slitting, rewinding, die cutting, overprinting, digital labels and booklet labels for converters in the narrow web industry. Available globally, Rotocontrol offers machines from smaller basic rewinders to feature-rich, sophisticated models with multiple options featuring S-Drive Servo Technology enabling maximum web control for the most delicate film and foil materials. Headquartered in Trittau (Hamburg), Germany Rotocontrol maintains the highest level of product quality through ease of use, absolute control and flexibility with a focus on operator safety and efficiency. ROTOCONTROL is the partner of choice in the finishing of label products. 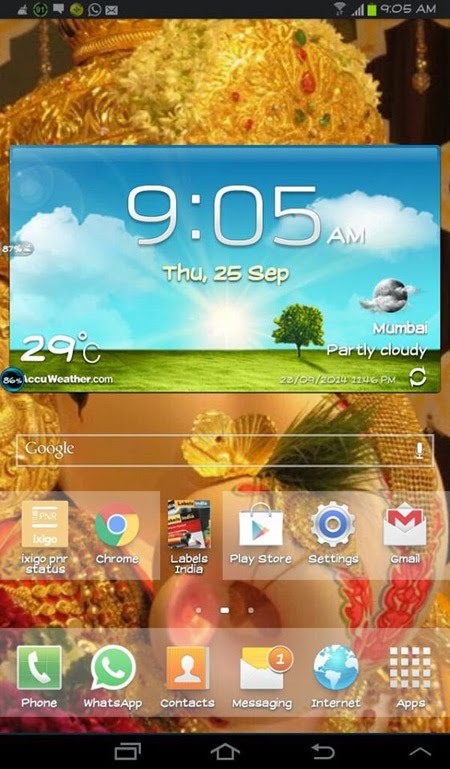 India's pioneer magazine dedicated to labels, packaging and converting industry - Labels India has officially released its android app for bringing its readers on an engaging digital content platform and to keep them abreast of the latest news and happenings in the narrow web labels and the converting industry. The free-to-download app is available on http://www.appsgeyser.com/1248709? 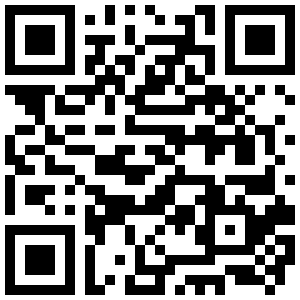 The app can also be downloaded by scanning the QR Code given here and on the right side of the website. 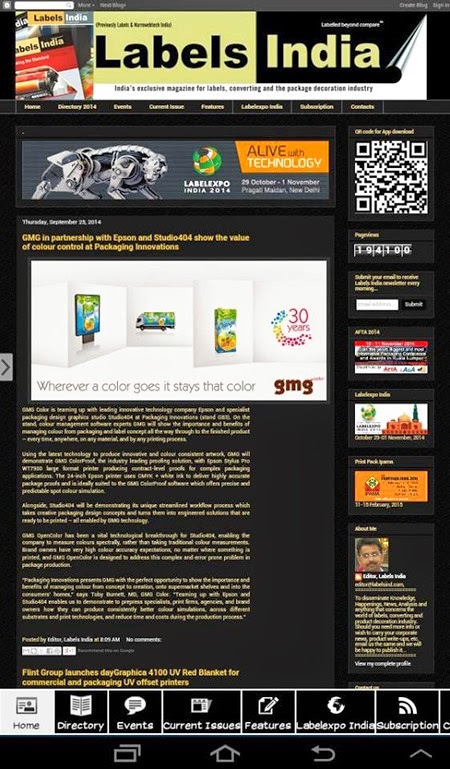 The first magazine in India to be aimed directly at the narrow web labels and the converting industry, Labels India provides label printers with relevant information on trends and technologies, as well as the latest news and affairs on what's happening in the global labels, packaging and the converting industry with a special emphasis on India. The app will be a trendsetter as it will bring all the topical information and news items on companies, associations, economics, markets, products, services and events as well as technical features right into your mobiles and tablets. 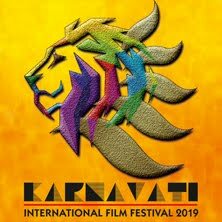 Created by Bangalore based Pranshu Kulshreshtha, this app meets all requirements and is very easy to manoeuvre and use. And it also takes less time to navigate as compared to browsing on a site. But the biggest advantage of this application is that it comes free. Providing a comprehensive understanding of the technology, Labels India covers topics requiring an extensive knowledge of the industry. It includes materials, adhesives, printing methods, application technologies, inspection systems, new innovations, including smart labels, RFID, indicator labels and chipless tags, brand protection and security, as well as the related areas of tickets and tags. 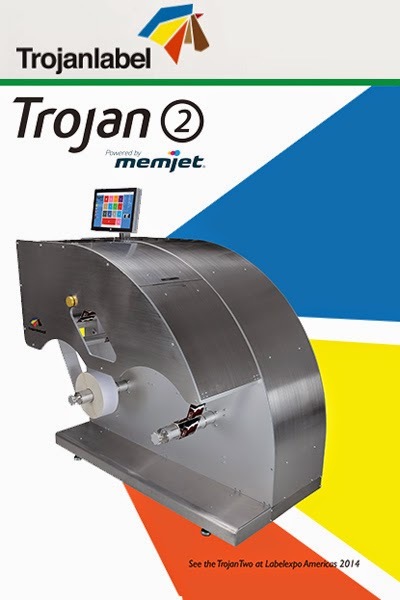 TrojanLabel, manufacturer of full color label printers, today announced the availability of its next generation label printing press, the TrojanTwo, powered by Memjet's industry leading printhead technology. Memjet is the global leader in digital color printing technologies bringing high speed and affordability to the label printing industry. "We saw strong interest in TrojanOne, due to its robust feature set and affordable pricing, and with the TrojanTwo, we continue to offer that same level of affordability but now with less manual intervention, all contained in a new compact industrial design," said Mikkel Wichmann, CEO of TrojanLabel. "Leveraging Memjet technology, it offers us a leg up in digital color printing, and jointly we look forward to showing the value and new levels of efficiency the TrojanTwo press offers the converter community." "With the great success of TrojanOne, we're excited to see the TrojanTwo mini digital label press released to the market. It provides customers with an high productivity labeling solution for small batch label runs, featuring the newest Memjet technology." said Judd Quimby, VP of business development at Memjet. "As the demand for customized, full-color materials continues to grow, converters and printshops can answer that need without incurring huge capital investment -- something the market desperately needs." Trojan Label has innovation nests in Denmark, Hungary and Dubai with a powerful staff of engineers, all of them with a deep experience developing high-tech printing solutions. Highly modern production in China ensures the company deliver products of a high assembly quality, but at a cost that both small and medium-sized enterprises can afford. Products are distributed solely through exclusive distributors who have gained significant market share and have a proven track record of growth and fast adoption of new technologies. TrojanLabel products differentiate from other solutions in their very robust industrial design highly inspired by the bigger and significantly more expensive digital printing solutions, which is currently used by market leaders in medium to high volume label production. The TrojanTwo is available now for $40,000 USD. More information can be requested at contact@trojanlabel.com or www.memjet.com. During the “Gallus Innovation Days 2014”, which are taking place from 23 - 25 September, Gallus is unveiling its future machine generation for digital label printing. During a world premiere, a pre-series model of the digital printing system will be presented to the industry for the first time. Gallus DCS 340 (Digital Converting System) is the designation of the new digital inline label printing system, which has been developed in cooperation with Heidelberger Druckmaschinen AG and Fujifilm and will set new standards in digital label production. “Due to continuing growth in short-run label production and personalised, versioned labels, we are seeing investment on the market steadily shift towards printing presses that utilise digital printing. The growth potential for this printing method is considerable and we expect to see high growth rates over the next ten years,” says Stefan Heiniger, COO Label Business at Gallus Ferd. Rüesch AG. Despite this, many label printers have not yet taken the decision to introduce digital printing – in part due to the compromises that are associated with this process in label printing. Slow printing speeds, the inability to print some spot colours, inadequate workflow solutions and a lack of true inline finishing and embellishment capabilities can result in additional process steps or undesirable compromises when it comes to label features. What’s more, current digital printing press solutions often result in less efficient production and poor compatibility with additional printing and embellishment processes. Thanks to the collaboration with Heidelberger Druckmaschinen AG and its partner for inkjet technology, Fujifilm, the new Gallus DCS 340 digital inline label printing system features a printing module with next-generation inkjet printing heads. The unique print head design enables several heads to be joined together for a greater print width, without visible transitions. A native resolution of 1200 dpi delivers print quality that is unmatched in UV inkjet printing today. This technology – combined with the speed of flexographic printing and the efficiency of digital printing – results in the new Gallus DCS 340 digital press, and of course Gallus is also staying true to its high standards in register accuracy on this digital machine. Digital technology makes it easier to handle variable data and versioning when producing labels and thus supports the cost-effective production of short runs. This gives label printers the flexibility that their customers expect from them. By combining the strengths of digital printing with an inline finishing process that has been specially optimised for digital printing, the Gallus DCS 340 gives users the chance to varnish, embellish and further process labels inline – from the roll to the finished die-cut label in a single production operation. The standardised, user-friendly interface of the Gallus DCS 340 makes sure that label printers benefit from the speed, quality and consistency they need in digital printing. The Heidelberg Prinect Digital Front End is used to automate the prepress workflow and thus ensure data is prepared efficiently, complete with comprehensive colour management. The printer also benefits from functions such as spot colour matching, the PDF Toolbox and Prepress Manager for even greater efficiency. Digital printing offers benefits in terms of reducing order-related fixed costs and costs for versioning and personalisation, while the conventional printing functions in this machine system open up additional embellishment options and enable inline finishing such as coating and die cutting. With seamless integration of conventional and digital processing steps, data preparation is a simple and efficient process. The Gallus DCS 340 has been developed jointly with Heidelberger Druckmaschinen AG and Fujifilm to meet the requirements of the future and offers label printers the ultimate in quality, productivity and flexibility. “Thanks to the Gallus DCS 340, label printers will be able to enjoy the benefits of efficient digital production and a full range of functions, even when handling short runs and personalised jobs – just as they have come to expect from Gallus machine systems,” says Heiniger. 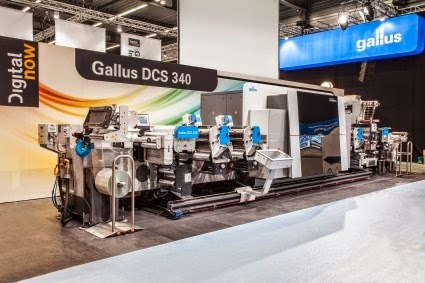 The new, innovative functionality of the high-performance matrix stripper on the Gallus ECS 340 represents a masterpiece of mechatronics by Gallus development engineers. To date, the direct matrix-stripping systems on the market have already brought a number of advantages over standard matrix strippers. Using a path roller to guide and support the matrix over just a short distance results in far fewer matrix tears and thus delivers greater process reliability. Complex die-cutting formes – with recessed edges, for example – remain problematic, however. The new Gallus high-performance matrix stripper was developed specifically for matrix removal with highly complex die lines at maximum speeds and enables a stable matrix removal process at all times. The test and development engineers at Gallus have taken a close look at the matrix-removal process and improved its functionality, its stability and thus its productivity with a new type of matrix stripper. For the first time ever, visitors to the “Gallus Innovation Days” will be offered a unique insight into ongoing development work. The “Looking over the developers’ shoulders” part of the programme will provide a one-off opportunity to get an idea of what the new Gallus RCS 430 – the new benchmark in narrow-web label printing – is going to be like. For the first time since its market launch, the Gallus RCS is being completely revamped. The machine system is being equipped with a state-of-the-art control platform so as to be ready for future market requirements and advances in technology. This control platform is already in use in the Gallus ECS 340 and Gallus EM S machine systems, and promises printers potential synergies in terms of providing a standardised technology platform for a range of machine systems. Reduced complexity is a further advantage. Having a common control platform simplifies the training of press operators and means staff can easily be assigned to different machine systems as they are already familiar with the user interface. Many of the spare parts for different machine types are also the same, which makes servicing work more straightforward. Furthermore, various technical adjustments have been made to the hardware based on Gallus RCS users’ feedback and experiences. Examples include improvements to web transport, a higher register accuracy and optimised inking units in the offset printing unit, which exhibit enhanced colour stability. The main feature of the new A-Line is its exceptional robustness, which is particularly advantageous when handling screen printing plates both inside and outside the press. The Gallus Screeny A-Line is therefore ideal for maximising the number of times plates can be re-used. This higher re-utilisation rate is also the quickest way to significantly cut costs per screen-printed label. However, robustness is just one of the requirements a good screen printing plate needs to satisfy. 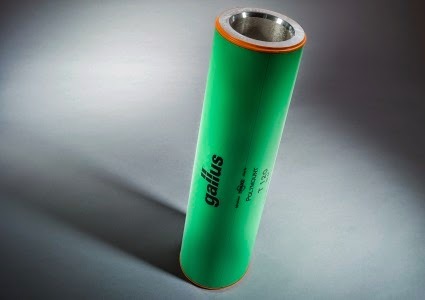 Excellent print results, optimum image resolution, a wide range of possible applications, a perfect ink flow and straightforward final checking of the imaged screen printing plate are further factors that have been taken into account during the development process of the Gallus Screeny A-Line. All this makes the Gallus Screeny A-Line the best and most cutting-edge screen printing plate that Gallus currently supplies to the market. Metallic doming is a unique combination printing process in narrow-web label printing. The first step is to apply the print image using rotary screen printing. A metal foil is then laminated onto the screen print. At the “Gallus Innovation Days”, this new combination printing process will be demonstrated live to label printers for the first time on the Gallus RCS 330. The special feature of metallic doming is that it enables users to apply a metal relief effect on transparent self-adhesive materials or tube laminate. An embellishing effect of this kind on mono material or clear material is a true innovation. Naturally, metallic doming can also be applied to all standard self-adhesive paper substrates. The revolutionary full-area and thus seamless self-adhesive Twinlock printing cylinder coating solves virtually all the problems associated with applying the flexographic printing plate to the printing cylinder, because it dispenses entirely with the need for flexographic adhesive tapes and all the associated drawbacks. The new Twinlock coating is available in various thicknesses on both synthetic sleeves and aluminium cylinders. Gallus now offers three different high-quality doctor blade types for all Gallus presses. They are supplied in a practical cardboard dispenser box and are already cut to exactly the right final dimension of the relevant press. The new Gallus doctor blades are available in three different qualities. 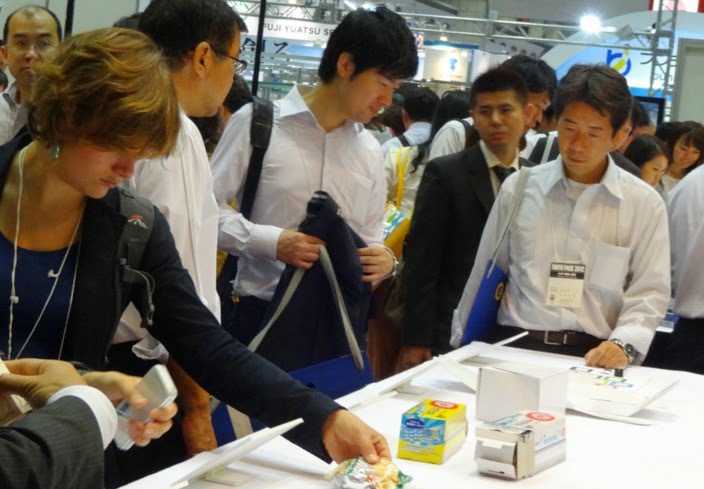 The largest packaging show in Asia in both the number of exhibitors and visitors, Tokyo Pack 2014 - the premier packaging exhibition focusing on the packaging industry is set to hit Japan on October 7 to 10. Launched in 1966 and owned and operated directly by the Japan Packaging Institute (JPI), the biennial (every two years) exhibition will feature more than 2,600 booths representing 600 companies in the 23,000m2 exhibition space, and is expected to attract more than 70,000 visitors from inside Japan and overseas. With Japan being one of the most advanced packaging markets in Asia and the world, Tokyo Pack is the place to be at to see the latest state-of-the-art packaging solutions, network with major industry players from around the globe, and gain business opportunities in the booming Asian market. Tokyo Pack is also aiming to showcase the best the packaging industry has to offer. This year’s event features the Next Generation High Performance Packaging Pavilion, with extended shelf life solutions, environmentally-friendly packages and new decoration and print technology solutions. Interesting packages on display include a special sprout-integrated pouch for beverages and liquid food, from Japan’s Ecodpack, designed to reduce weight and save on raw materials. Ecodpack says liquid products can be dispensed by squeezing the pouch, and a mechanism prevents air from flowing into the pack - protecting the product. Liquid food products can also be dispensed without solid food particles clogging. Foreigners visiting the exhibition need not worry about negotiating the business-language and cultural barrier: the organizer is offering a range of services including a system that will help visitors easily identify exhibitor booths where business discussions can comfortably take place in English, and a series of seminars explaining the Japanese packaging market and industry and optional city tours of retail formats. PopPack from the US will demonstate its reclosable bubble solution, which opens and closes flexible packages with a popping sound to provide assurance that the contents are fresh, well sealed and have not been tampered with. PopPack says it hopes to find partners at Tokyo Pack to help it introduce the technology to the Japanese market. To help out international visitors who do not speak Japanese, this year stands will have signs saying ‘English speaker available’ to identify where business discussions can comfortably take place in English. Staff at the Foreign Visitor desk at the International Lounge will be on-hand to assist foreign visitors with enquires and guide them to exhibits showcasing the packaging solutions and technologies they are sourcing for. The expo will feature more than 2600 booths representing 654 companies in the 51,380sqm exhibition space. Organisers say more than 170,000 people visited the last Tokyo Pack in 2012. 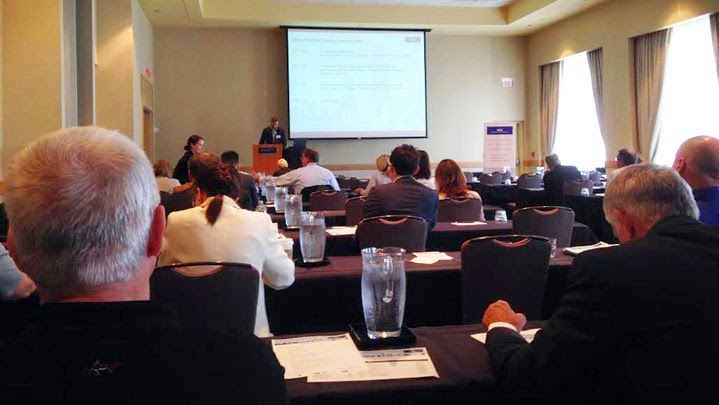 Nearly 70 interested parties joined AWA Alexander Watson Associates to review and debate the pressure-sensitive label industry’s achievements and actions agenda, and gain an update into label release liner, on September 8thin Chicago, just before LabelexpoAmericas 2014 opened its doors. Over 50% of release liner manufacturers’ output is consumed by the pressure-sensitive label industry, so the annual AWA Label Release Liner Industry Seminar is of major relevance – especially today. Corey Reardon, President and CEO of AWA Alexander Watson Associates, opened proceedings by asking delegates to complete and return questionnaires for a ‘real-time’ survey of the label release liner market’s current profile – the results of which were published at the end of the event. He went on to deliver an overview of the total global release liner market, showing that the Asia Pacific region has nudged ahead of North America and Europe as the largest market overall; that film-based liner now commands a 16% share of global usage; and that global growth across all segments is running at just under 5%. ‘While labelstock remains the core,’ said Mr Reardon, ‘it is the graphic arts, tapes, medical, and industrial segments that are the major growth areas’. Mr Reardon went on to recordAWA’s data findings on the overall labeling market – including technologies that do not involve release liner -- in 2013. ‘Today’, he said, ‘a wide span of production identification technologies are in use – including wraparound, glue-applied, and even direct print.’ Taking the last item out of the equation, he showed that the Asia Pacific region once again takes the major market share, and is continuing to grow at more than 6% per annum. ‘The majority of label applications are still equally shared between the glue-applied (including patch glue and wraparound) and pressure-sensitive technologies; but it is heat shrink sleeving that continues to exhibit the highest growth’, he showed. He pinpointed major trends in the industry, which in growth terms remains closely tied to GDP. He explored the evolution of products in order to drive out cost; M&A activity across the value chain; recycling, environmental, and sustainability concerns; the flexibility of digital print, which in some aspects represents a competing technology; and the growth in usage of alternative packaging methods such as pouches. The North American label market’s profile – from M&A activity and industry ‘movers and shakers’, through digital and conventional print applications, to release liner in all its aspects -- was explored by Danielle Jerschefske, North America Editor of Labels and Labeling International and PackPrint World.She presented a colourfulportfolio of examples of the region’s creativity in making labels that both deliver functionality and sell products. Personalization is proving a real opportunity for label converters and brand owners alike to differentiate. Current examples include the global Coca-Cola personalized (although still mass communication)bottle campaign and ‘team wines’,labeled specifically for major league baseball teams. There are, she said, certainly opportunities for label converters who want to expand their offering, and there are real innovations around, both in the broader world of packaging print and in pressure-sensitive labels; but, MsJerschefske warned, ‘linerless labels are NOT becoming more mainstream, because end users are reluctant to invest in even more new equipment.’ Release liner recycling remains a focus across the label industry in North America – but it is the brand owners who hold the trump hand in getting full-scale liner recycling moving. Dan Muenzer, VP Marketing, Constantia Flexibles, delved deeper into the competitive product identification and decoration technologies that aim directly at pressure-sensitive labeling, providing an industry’s expert’s opinion as well on the labeling market in the near term and beyond, and the various end-use market segments. In the largest segment, food, he said that ‘the transition from box to flexible packaging is coming on strong, but it’s still a niche market for beverage.’ He pinpointed a peanut snack pack – a prizewinner in the 2014 Dupont Packaging Awards -- which combined a ‘blown box with a resealablepressure-sensitive label’. He went on to discuss more threats and opportunities. ‘Cans are hip and cool’ said MrMuenzer, ‘especially where the younger generation is concerned. In the US, not only beers, but also wines and spirits are going into cans now’. The resurgence of cans is just one example of change across the whole span of packaging. Now with around 5% of the label market, linerless labels, while they do not employ a liner, still require the silicone release coat. Nevertheless, industry leaders along the value chain are investing in the technology, although, echoing MsJerschefske, Ms Marolda added, ‘the fact that there are a number of different systems mitigates against linerless to a certain extent from the end user’s point of view. VIP/logistics labels fit linerless very well, and their printer and label dispenser systems can be easily, affordably retrofitted. The growth opportunities in VIP labels are high’. This constitutes a real threat to lineredpressure-sensitive labels but, for primary label applications,linerless is not significant. ‘Where it fits, it fits well’, Ms Marolda said – but the areas where it doesfit are those where the business was ‘mostly never pressure-sensitive’. MsMarolda’s conclusion was that, for the future, linerless labeling will grow – but, overall, it does not represent a disruptive force for the release liner industry. ETI’s linerless label option, involving a PET liner, which can be reused up to 20 times, and the company’s thin MiniLiner PET and paper liners offer other cost- and waste-saving options. More innovation solutions meeting the market’s sustainability requirements were presented by UPM Label Papers’ Business Development Director, MikkoRissanen. listed for the third successive year as the industry leader in the Dow Jones European and World Sustainability Indices (DJSI) for 2014-2015, UPM’s product range for the label industryis now enhanced with its new UPM Evolution thin, biodegradable glassine release base, which, MrRissanen said, ‘offers more labels per reel, less reel changes, more efficient energy consumption, and uncompromised performance’. ‘Shop for the best overall solution, matching overall quality, customer and technical support andprice’ was his advice for all but real commodity applications. ‘Test, test, and retest over time’ on both pilot and production lines before final specification, because a typical liner qualification time is three to six months. ‘All adhesives and silicone liners have ranges’, and, once again, interaction across the value chain is essential to achieve best performance. Performance may be compromised by adhesive shipping at an inappropriate temperature; by inappropriate storage temperature and humidity; and by the consistency of the liner substrate’s surface in terms of roughness, smoothness, shrinkage, and surface energy. In the last 12 months, the survey showed, costs – transportation, energy, labor, and materials -- have generally increased, but the coming twelve months are expected to show greater stability.Regionally, in 2014, respondents’ business in Asia is expected to enjoy the highest growth. Mergers and acquisitions are a continuing feature of the packaging and print market, and 74% of survey respondents expect their own companies to be affected during the next five years, as M&A activity in the sector gathers speed. The final survey question was an important one: ‘While the release liner industry has experienced incremental improvements in products and services in the past five years, but we are in real need of some true innovation’. Results clearly showed that the majority of respondents agreed. Closing the seminar on this significant note, Corey Reardon thanked the event’s platinum sponsor, UPM, and gold sponsors Dow Corning, ETI, Evonik, Labels & Labeling, and Mondi, for their support, and welcomed delegates to cocktails at the end of a day that had identified both opportunities and issues in the world of label release liner. Toyo Ink Co., Ltd. (President Katsumi Yamazaki) announced today that it, together with Toyo ADL Co., Ltd., Toyo FPP Co., Ltd. and Toyo-Morton Co., Ltd., will introduce package processing innovations based on the concept “Total Packaging Solutions of the Future” at this year’s Tokyo Pack. Covering material procurement, manufacture, distribution, sale, consumption, disposal and recycling, Tokyo Pack is one of the world’s largest trade exhibitions for packaging-related businesses. The exhibition will run from October 7 to 11, at the Tokyo Big Sight in Japan. Located in booth 2-28, East Hall 2, Toyo Ink will showcase a comprehensive array of products and services under four solutions categories: Color Management, Environment and Safety, High Performance and Advanced Design, and Global Market Solutions. Color Management: Due to increasing globalization of the flexible packaging business, color management has become an industry hot topic. To address the issue, Toyo Ink will feature two live presentations on color management support for process printing and color management solutions on stage at its booth. The company will also hold live demos of its latest ink dispensing system for the labeling market. Environment and Safety: Toyo Ink solutions for flexo printing have been attracting much attention of late. Thus, the company will showcase a complete product lineup based on its water-based flexo inks, from prepress to post-printing. In addition, it will introduce case studies of innovative solutions that combine its water-based inks and water-based adhesives, and offer a hands-on display of its solvent-free adhesive mixing device. Under the High Performance and Advanced Design category, Toyo Ink will showcase advanced packaging and design techniques based on a wide array of Toyo Ink high-performance materials, such as ultraviolet (UV) coatings, overprint varnishes, functional screen inks and hot-melt adhesives. In addition, the company will introduce a completely new lineup of UV inks. Under the Global Market Solutions category, Toyo Ink will highlight packaging products and services that support its customers as they increasingly foray into international markets. The company will introduce packaging ink solutions representative of those the Toyo Ink Group has launched in markets all over the world. 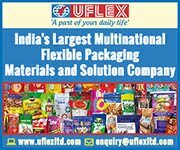 A comprehensive lineup of food packaging inks compliant with the Swiss Ordinance will also be on display. Moreover, Yasuyuki Kawada, manager of Toyo Ink’s Graphic Solution Center, Technical Center, will deliver a presentation on“Color Management for Package Design” on October 10 at 2:00 p.m., at the seminar room in East Hall 6. Mr. Kawada will provide details on Toyo Ink’s color management system architecture with the aim of improving color quality and operational efficiency throughout the package production workflow. He will also introduce Toyo Ink’s first color management system based on the International Color Consortium (ICC) profile format. For more info on Tokyo Pack 2014, see http://www.tokyo-pack.jp/en/. Dainippon Screen Mfg. Co., Ltd. will launch its new Truepress Jet L350UV inkjet label printing system in October. In addition to delivering the highest level of printing performance, the system is able to handle security printing, providing solutions to various needs currently being experienced by the label printing industry. With the Truepress Jet L350UV, Screen is expected to further accelerate its expansion in an industry that is enjoying remarkable growth. Due to the continuing diversification of product packages and other trends, the global label printing industry is projected to grow from the approximately 31.5 billion dollars earned in 2012 to nearly 40 billion dollars by 2016. * Meanwhile, as label printing companies seek to differentiate themselves from competitors, they have experienced a growing requirement for systems that can provide greater product diversification and higher added value with shorter turnaround, without using specialized technical skills. This has led to a significant increase in the market for on-demand printing (POD) systems, which largely satisfy these needs. At the same time, successive annual growth in illegal copying and counterfeiting has also created a growing requirement for a new label printing technology that can ensure product authenticity and resolve related issues. In 2012, Dainippon Screen developed the Truepress Jet L350UV, a digital inkjet label printing system that delivers industry-leading printing speed of 50 meters (164 ft) per minute. Screen then introduced its technologies at various international exhibitions and conducted ongoing market research to build a clear picture of industry requirements. 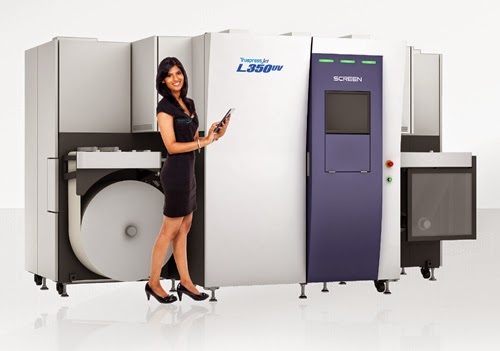 Based on this investigation and its many years of accumulated knowhow, Screen was subsequently able to make several major improvements, including the development of a proprietary printhead control technology, wide gamut UV inks, and color management technology. In addition to the excellent throughput mentioned above, the Truepress Jet L350UV provides more stable printing capabilities coupled with higher image quality. The ability to connect inline to post-processing devices** such as those for die-cutting and surface processing like varnish printing also enables uninterrupted production from input of digital data to output of finished labels. Importantly, the Truepress Jet L350UV also provides a solution*** to security printing requirements with its ability to output the special codes required for Advanced Track & Trace’s Seal Vector authentication technology and support for the dot codes used in counterfeiting prevention and distribution management systems. Dainippon Screen plans to begin sales of the Truepress Jet L350UV in October. Its launch is expected to accelerate Screen’s expansion in the label printing industry, as it continues to show strong growth. Screen is firmly committed to supporting the diverse needs experienced by the industry and will continue to provide a wide range of solutions to help printing companies enter new business areas, thereby contributing to the expansion of the overall industry. Since being established in 1943, Dainippon Screen has grown significantly in the printing and prepress fields and is currently a leading company in the thermal CtP recorder and on-demand printing system industries. By leveraging its core photolithographic (photo etching) technologies, Screen has developed a large number of products that hold top shares in a variety of fields, including those for semiconductor, flat panel display, and PCB production equipment. Screen continues to expand these business areas. At The Inkjet Conference in Düsseldorf, Germany (September 30–October 01), the most important players in industrial inkjet engineering will meet to evaluate and discuss developments in industrial printing. The conference is an initiative of the European association for specialist printing manufacturers of screen, digital and flexo technology (ESMA). Agfa Graphics, ESMA member since early 2014, will present its expertise in developing inkjet inks targeted to specific applications as well as discuss ink integration in industrial applications. As emphasized at last year's InPrint show in Hannover, Agfa Graphics is committed to being the partner of choice for system integrators developing an inkjet printing solution. The company keeps a close track of the latest developments in inkjet printing, including solutions best suited for LED curing, inter-color pinning, white ink and other specialities. Thanks to many years of expertise in color technologies and know-how in the field of dispersion technologies, Agfa Graphics’ key competence lies in tuning ink formulations to specific print systems and applications. Examples include inks for (product) decoration, packaging, label printing and more. Agfa’s low-migration ink technology was awarded during Fespa 2014 (Munich, May 20-23) with the European Digital Press Association (EDP) award 2014 for the most environmental ink technology. Marc Graindourze, Business Development Manager Industrial Inks, is one of the speakers at The Inkjet Conference. He will discuss the importance of integrating ink development in the design of complete printing solutions. "Agfa Graphics' inks are known for their high and consistent performance in relation to the functional requirements of specific applications," says Marc Graindourze. "During The InkJet Conference in Düsseldorf we will demonstrate these high-performance inkjet inks for different applications." The Agfa Graphics booth will display print samples and there will be time to discuss new projects and applications. Visit the Agfa webpages on inks (www.agfagraphics.com/inks) and fill in the contact form ‘industrial inks’ if you have specific requests related to industrial inkjet inks. 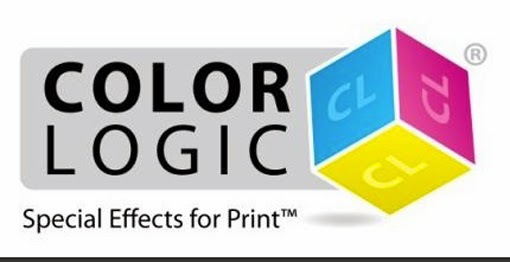 Color-Logic, developer of the Process Metallic Color System, has joined the Harlequin Partner Network as an initial partner. Discussing the partnership, Color-Logic Director of Sales and Marketing Mark Geeves said: "The Harlequin is one of the most popular and widely used RIPs in the printing and converting industry, and Color-Logic has worked with Harlequin since the Color-Logic process was introduced. Harlequin OEMs and their customers benefit from the Color-Logic technology when utilizing white or metallic ink in various printing processes which we both support. It is a privilege to be an initial member of the Harlequin Partner Network." Heidelberger Druckmaschinen AG (Heidelberg) is unveiling a new digital press for the growth market of digitally printed labels. This represents the next milestone in the company's strategic realignment, particularly in terms of significantly expanding sales in the digital sector over the medium term. The rapid progress in rolling out the digital strategy shows that the partnerships Heidelberg has nurtured with various suppliers are proving highly successful when it comes to developing new digital printing systems for industrial applications. For example, the Gallus Group, which was recently taken over in full by Heidelberg, has held a customer event to present the forthcoming Gallus DCS 340 (DCS = Digital Converting System) digital label printing press, which is based on inkjet technology from Fujifilm. Heidelberg and Gallus jointly developed the digital production system for industrial label printing in less than one year. 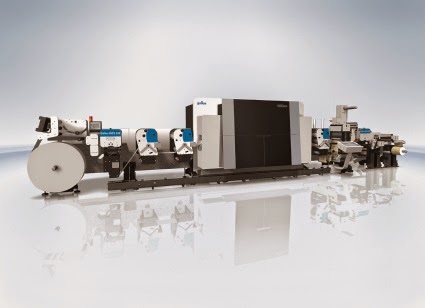 Heidelberg is to manufacture the inkjet unit at its Wiesloch-Walldorf site, while the flexo and converting units for the new press will be produced at the Gallus plant in St. Gallen, Switzerland. 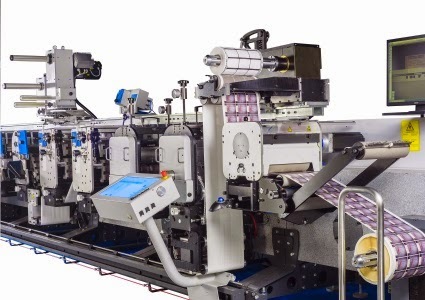 The system is slated to enter series production in the coming year and will meet growing demand for the cost-effective production of short, medium, and versioned runs in label printing. "We are pursuing a growth strategy in our digital printing operations," says Heidelberg CEO Gerold Linzbach. "Today, less than twelve months after we started our collaboration with Fujifilm, we can stand alongside Gallus and unveil the first print-ready system. The only way to rapidly leverage growth potential in digital printing is through partnerships. 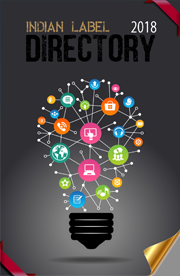 This helps us get a lot closer to our medium-term sales targets in the digital sector." Having completed its takeover of Gallus Holding AG in the summer, Heidelberg has reinforced its commitment to the growth segment of digital label printing. Ferdinand Rüesch, former owner of Swiss-based Gallus Holding AG, supports the strategic realignment that Heidelberg is pursuing. With a total stake of around nine percent, he is the company's biggest individual shareholder. "It was the right time to take this step. It is only by working with a strong partner such as Heidelberg that Gallus can overcome the long-term challenges facing digital printing in our sector and still make full use of the potential that is out there," says Rüesch. The newly unveiled digital printing system has been designed for the self-adhesive labels market. The global print volume for these labels is growing by around four percent a year. Although only around five percent of this volume is printed digitally, this figure is rising rapidly. Indeed, digital printing is driving change in this highly promising market segment. It is anticipated that, in the medium term, just under half of the presses sold in this sector will be digital. By launching this new technology, Heidelberg and Gallus will be actively shaping change in the business models used in this segment and offering users a versatile and cost-effective solution. 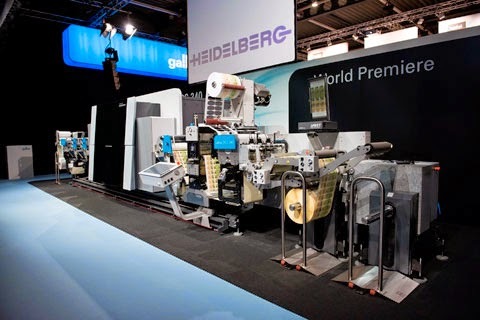 "Heidelberg has reached another milestone in its realignment in the digital sector. The next steps to develop additional digital printing systems as part of the collaboration with Fujifilm are already being taken," says Linzbach. Ryobi MHI 750G Packaging Edition offers an affordable, fully automated press; delivers what many commercial and packaging printers need - high-margin, special-effects printing for thick packaging board and light weight sheets. One veteran printer says the Ryobi 755 XLG Packaging Edition is the most productive and cost-efficient press for premium short run package printing in North America. The 6 Up Ryobi MHI 750 Packaging Edition series press will be highlighted at Graph Expo 2014, where printers entering or expanding into package printing can learn how the press will dramatically expand their product offerings. Packaging runs become profitable in as few as 500 sheets with Ryobi Smart Instacolor technology and Ryobi LED UV curing system which allow print jobs to move quickly from print to finishing. Graphic Systems North America reports the fully automated, 31-inch, 16,000-sph Ryobi 750 Packaging Edition series press fits commercial printers who are entering package printing or growing that segment of their business. In addition, the press is earmarked for U.S. and Canadian packaging printers who are grappling with the shorter run demands of their customers and aren’t sure that inkjet or digital will match their quality and durability needs. A unique Blister Pack configuration is also available in the 750 Packaging Edition. The press is available in up to eight colors to provide maximum Pantone color matching and multiple spot color versatility, easily accommodating up to 31-point board and a wide variety of synthetic substrates along with specialty treatments including chemical embossing, cold foiling, opaque whites over foil, and much more. For added profitability, the 6-up 750 Packaging Edition press is available with the Ryobi UV Casting and Foiling System, which delivers a wide range of special effects printing, including Cast & Cure holographic effects and inline foiling for high security, specialty decorating and high-impact retail packaging. In-depth discussions of the 750 Packaging Edition press together with finished print samples will be available in the GSNA Commit to Print Booth at Graph Expo 2014, McCormick Place Booth #4404, Sept. 28 to Oct. 1, in Chicago. 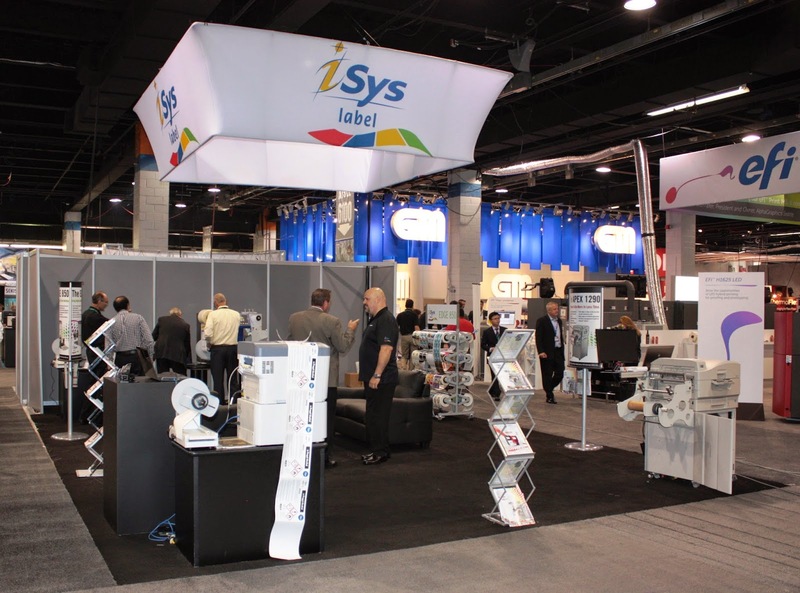 Visitors are also encouraged to attend the Ryobi Printers Panel presentation in the CPP Theatre for a lively discussion of trends in short run packaging on Monday September 29 at 11:30 AM. Remotely adjustable shell type skeleton transfer system provides the versatility printers need to ensure mark-free printing on thick paper and plastics as well as lighter stocks that benefit from the support of a transfer cylinder. Ryobi Smart Instacolor technology achieves ultrafast makeready with minimal paper waste. Two inches of additional paper size versus competing German and Japanese presses allow for greater operating flexibility, image stability, print quality and multiple up formatting. Ryobi’s LED UV Instacure technology is ideally suited to short run packaging since the press sheet is immediately cured and ready for finishing and no powder is required. Smart Ryobi Plate Changing system provides simultaneous plate changing in roughly two minutes. Ryobi High Grade Feeder assures stable, high-speed sheet feeding across all stock weights. The Ryobi MHI 750G Packaging Edition press has successful placements worldwide and saw its debut U.S. placement in May 2014 at Graphic Edge Printing & Packaging in metro Milwaukee. Veteran commercial printer Dale Skinkis, owner of Graphic Edge, reviewed all comparable presses before deciding on the Ryobi MHI 755 packaging press. 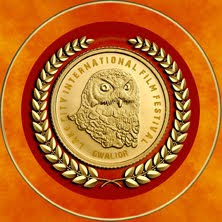 “This is the most productive and cost-efficient press for premium, short-run package printing in North America,” he said. Putting ink on packaging board and labels has a bright future, with continued growth expected in the $170 billion North American packaging market. Much of the fastest growth in package print is coming from small and mid-size manufacturers of consumer products who need short run packaging to sell their products. Large consumer products companies look to versioning and targeted packaging runs to grow their market share. High-speed offset remains the highest quality and lowest-cost of production for folding cartons, labels and some flexible packaging - regardless of run length and nothing compares to offset for package durability. The Ryobi MHI 750G Packaging Edition press greatly expands capabilities for commercial and packaging printers as it reduces total manufacturing cost in this high value add segment of the print market. The press accommodates a wide range of paper, plastic and specialty substrates, from super-thin sheets to heavy board, delivering the precision, power and stability these stocks require. All Ryobi presses are backed by quick-response service from GSNA’s local, factory-trained technicians in the U.S. and Canada, together with engineers from Ryobi MHI headquarters in Japan. “The Ryobi 750G Packaging Edition press delivers what many commercial printers are looking for today,” said GSNA Chairman Don Barbour.